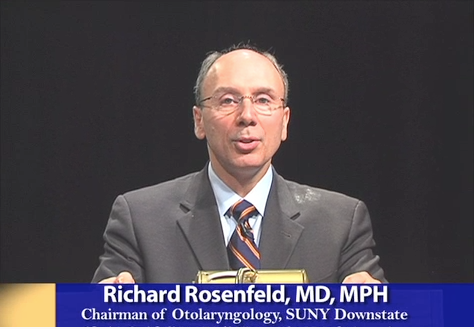 This video, written and recorded for CUE by Richard Rosenfeld, MD, MPH, explains the guidelines development process and the need for educated consumers to be involved in that process. This lecture is valuable introductory viewing for patients, consumers, and/or caretakers who wish to be engaged in research. Watch the video on Cochrane.org.